FutureNow joint venture is taking the new concept of the conference with all seriousness. The wheel has been put in motion and things are happening. FutureNow and Startup Awards are going to premiere at the Pohoda festival, the biggest music festival in Slovakia, inside the HubHub tent in July. They will be showcasing cool interactive startups from the V4 and Austria region (internally, V5), as well as throwing a Pohoda startup competition. Eight startups will get a chance to pitch their projects and win attractive prizes. After the festival, a full competition will be launched with the aim of gathering 40 top startups from the V5 region to take part in their startup bootcamp taking place the weekend before the conference itself. Joined by 40 mentors, they will be discussing their presentations, their products and putting it all together for the conference day. Between the bootcamp and conference on the 22nd & 23rd of October, the FutureNow team will be launching a completely new format – the FutureNow Festival that will be organized for the public in Bratislava with the aim of engaging the whole community and getting everyone ready for the highlight of this all, the FutureNow conference on October 24th, 2018. Eager for more details, motivations, deadlines, prizes, or anything else? 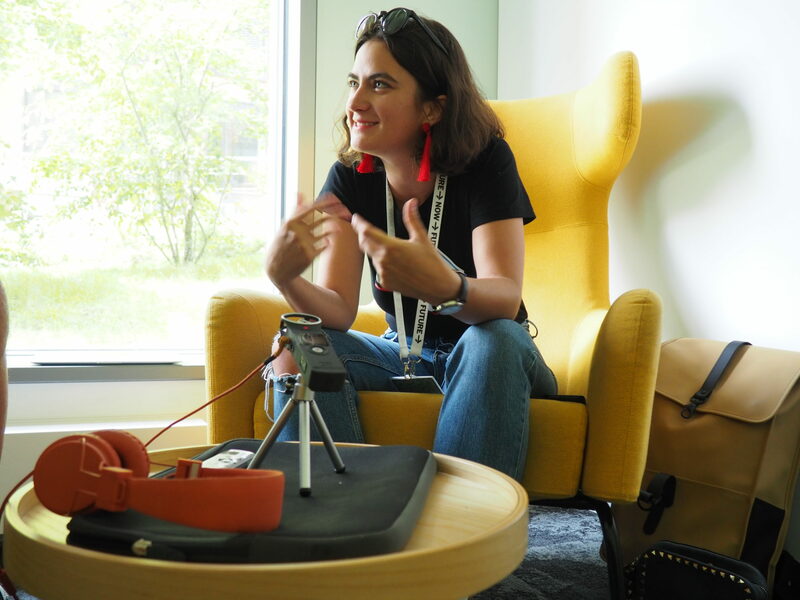 I sat down with Valentina Kasperova, the FutureNow Conference Manager, to discuss it all. Here you go. 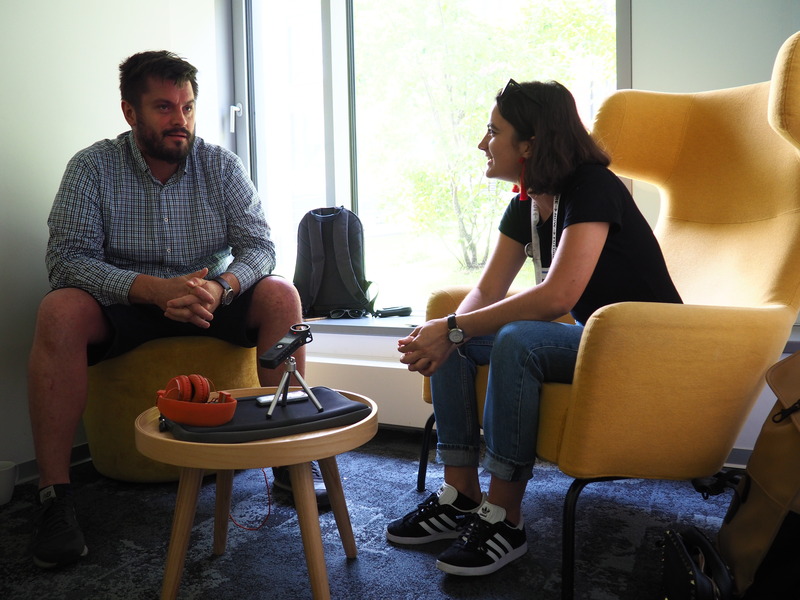 When Neulogy and HubHub joint venture was announced three-four months ago, I did an interview with Peter Kolesar and Natalia Kiskova about the vision. What are the latest updates since then? Historically, FutureNow took place in December, and the fresh update is that the date of the conference this year is 24th of October. We’re changing venues as well. It’s going to be in Refinery Gallery which is an old reconstructed industrial hall that can house up to 2000 people. We want to increase the capacity of the event to bring in more people and to get more people engaged outside of the startup community. This probably also ties in to the festival you are organizing as one of the activities. Right, the FutureNow Festival is going to be a series of events of smaller capacity, 40-50 people, on Monday and Tuesday before the conference. We will throw events all around Bratislava engaging the whole city. Our aim is to get different co-working spaces, universities (STU, FIIT), LEAF Academy, Butterfly Effect, and other related projects on board so that the entire city will feel that something exciting is going on. We’re modeling it off of concepts such as WebSummit or Slush where you come to Lisbon or to Helsinki for a week straight and can go from place to place and just have your mind blown continuously. The idea is to highlight that Bratislava is a very exciting city, not only tech- and innovation-wise but also culturally-wise. On one hand, you are aiming at V4 and Austria, going more international with the conference. On the other, you are going very local in Bratislava. What is the goal of being more international? It’s a combination of a lot of factors. The first one is that the Slovak startup ecosystem can only be so big, and I‘m not saying that in a negative way. It’s just a fact. 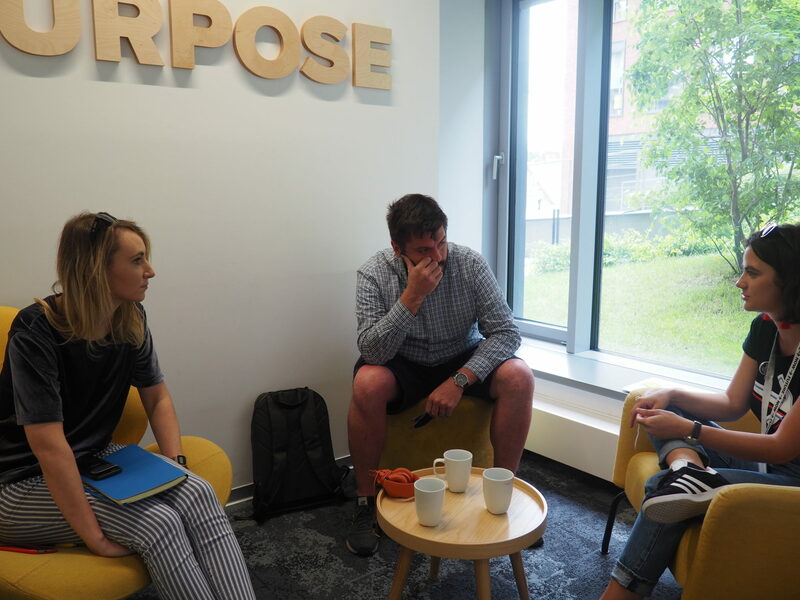 HubHub is already operating co-working spaces in Warsaw, opening one in Prague in the summer with aims to open places in Vienna and Budapest as well. One part of HubHub’s mission regionally is to engage existing startup ecosystems. Thus going international with the competition was a natural segueway as we’re going to have this network anyways, and we wanted to connect it because all the regional ecosystems, whether we are talking about the Polish one, or Czech one, Hungarian one, Austrian one, function in their own little way but there really isn’t any event yet that ties them all together. We are going to be this event platform that, on one hand, focuses always on Bratislava because that’s where we grew up, that’s what we’re excited about but on the other hand, also brings all those global people here so they really get to feel what Central European startup ecosystem looks like, how it can interact and cooperate with each other. 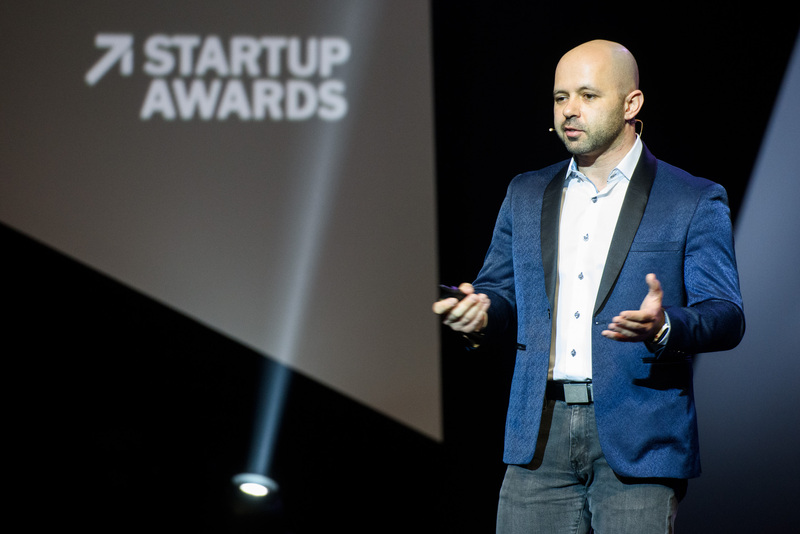 The community in Slovakia is more aware of the Startup Awards which has had seven years, 2018 being the 8th. How do you want to push and support the FutureNow brand? We definitely think that the startup competition is a huge component and an absolutely crucial one, but we want to highlight the event content as well. That’s why we’re shifting for it to be the FutureNow brand as opposed to Startup Awards. It also relates to the scaling of the competition. If you come from Poland, the Czech Republic, Austria or Hungary or wherever, why would you sign up for a Startup Awards Slovakia? Communication-wise it doesn’t make sense. That being said, of course, it can be a challenge. On one hand, we are keeping in mind that we have an existing pool of people who recognize the brand here in Slovakia, on the other hand we are building the brand abroad. It‘s juggling two challenges at once. We want to showcase that we are going to be an event platform through other activities that don’t relate only to the startup competition. The first one will be our presence at the Pohoda festival. The biggest music festival in Slovakia, right? Right, 30,000 people. It’s going to be the first year where any sort of tech and innovation related platform will be present at Pohoda. We’re having our own program inside the HubHub tent who were kind enough to let us tag along. First of all we are pushing it beyond Slovakia, bringing startups from the V5 to showcase their products there. On top of that, we’re going to have cool panel discussions on all sorts of topics. Pohoda has been declared the most eco-friendly festival in Europe so we are going to be talking a lot about how tech relates to eco-sustainable things. It’s supposed to be a mixture of interactive, VR things but also „serious“ content. We are going to be also cooperating with Zero Waste Slovakia organizing a workshop of how to make your own festival cosmetics. You may think – how does that relate to tech but that’s exactly that. It’s a very relevant topic and we want to keep combining all these fields together. Can you give some examples of whom have you invited to Pohoda with you? We’re having MATSUKO which is a famous Eastern Slovak startup. They’re going to be showcasing their unique hologram technology. We’re also having a whole fashion, wearable tech stream where you can look forward to a futuristic fashion show, plus some interactive VR exhibits. On top of all that, we’re having our summer startup competition as a push to showcase that we’re going to do this all year long and we want to continutally engage the ecosystem. Who can apply and how is the competition going to be organized at Pohoda? Startups from the entire V4 plus Austria region can apply. Internally we call it the V5 🙂 At least one of the founders should be a citizen of one of these countries and the only requirement is that they should have a physical product to showcase. When we pick the top eight startups from the application pool based on festival fits and relevance, they get to come to Pohoda, be in the tent and showcase their product throughout the entire festival. It’s definitely going to be a large group of people that these startups will have the opportunity to engage with. On top of that, we’re going to have an actual 3-minute pitching and Q&A session on Saturday afternoon so the startups will be able to present in front of judges. I can confirm the presence of Michael Schuster who is managing partner at Austria’s biggest VC SpeedInvest. We’re also in talks with a very famous and fun Slovak cultural figure to come judge, so fingers crossed! The winner will receive a 3000 EUR cash prize and get immediate access to the Startup Awards bootcamp which is part of the „serious“ competition that we launch as part of the conference. What is the application deadline and how can startups apply for Pohoda? You mentioned that apart from the cash prize, they will also get an immediate access to the bootcamp. What is it and how does it relate to the FutureNow conference? The bootcamp is already an existing format that has always been a part of Startup Awards. The idea is to bring more added value for the startups and for the people involved in the competition as well. That‘s what makes our competition very unique. Based on the feedback from previous years, the startups always considered the bootcamp as the one thing that really made the difference and that brought the most value. The idea is that a pool of startups gather for three days in one location where they have group discussions and 1:1sessions with various mentors. We’re talking about CEOs of relevant corporate partners or venture capitalists and investors that have an affinity for this community. You don’t get to sit down one-on-one with such skilled influential people who have a lot to bring to the table very often. For three days, startups will be improving their presentations, business plans and also have a chance to present themselves in front of the whole group. What is changing this year with bootcamp? What’s new this year is that it’s going to be the weekend before the conference. We wanted to motivate more foreign startups to apply and push the competition outside. We realized very quickly that wherever you’re coming from, you’re not going to come on travel on your own dime twice in two months to Bratislava. How many startups can get into the bootcamp? We’re aiming for 40 startups from the entire region of V5. The mentor-to-startup ratio has always been one to one and we want to keep it that way. So we really want to bring 40 mentors from the entire region together. If I’m a startup from Poland and recognize that there is a relevant person from Polish investor or corporate community, I want one-on-one time with that person, and it is likely to motivate me to apply. Then probably the jury at the bootcamp will decide who is going to the finals. Historically, there always was a cut at the bootcamp from 20 startups to 8 that made it to the finals. Because of the size and the scope of what we’re doing, that’s of course changing. This year at the conference, we’re having a separate startup stage dedicated only to startups. So we basically increase the range of content that you as an attendee will witness at the conference day. There‘ll still be the main stage with inspirational top-notch speakers throughout the day but simultaneously in-between the morning and the evening keynote you’ll have the startup stage with pitching sessions with the judges. The pre-selection from the bootcamp will go on throughout the day at the conference and then the finalists will attend the gala on the main stage. The Startup Awards finalists will be selected on the day of the conference? Yes, it is going to be very nerve-wracking and intense. What updates or tweaks are you coming up with in regards of the conference itself? We are increasing the number of program streams. On top of the main stage and the startup stage, we’re also going to have a workshop room. We are aiming for four or five workshops throughout the day to get people engaged and let them actively participate so they just don‘t consume the content passively all day. We’re also formalizing our networking area. This year, we are trying to take our networking app to the next level with a designated area for, as I call it, corporate speed dating. What are the topics for the FutureNow 2018 and what kind of speakers are you aiming at? The conference was always separated into three content blocks. 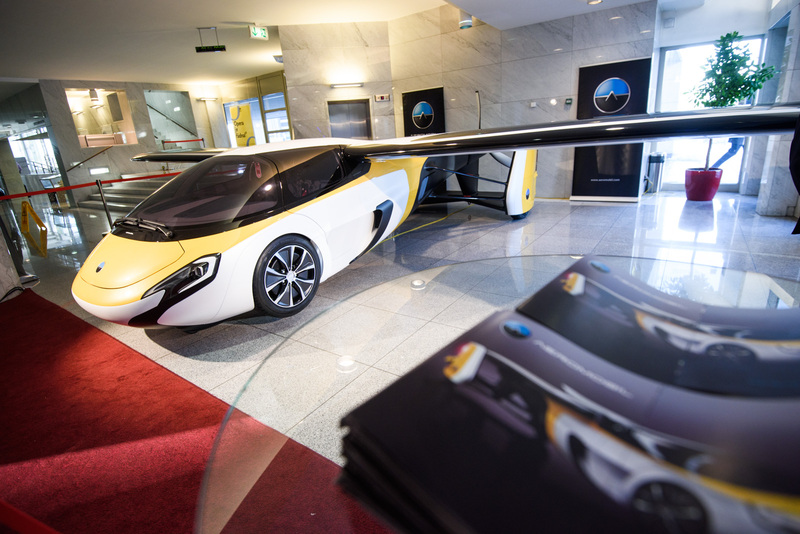 For example, last year we had Future of Mobility, Future of Government Tech and Future of Internet of Things. This year however, we‘ll have more abstract themed content blocks – Future of Work, Future of Data and Future of Talent. The scope of speakers has enlarged as well as the target quality. We want to bring A-list people to come and discuss cool ideas. It should be a combination of names that are wow factor types to people who have always relevant and on point content. Do you already have some confirmed names? For the Future of Work, we have Tim Rowe, the CEO of the Cambridge Innovation Center which is one of the leading innovation institutions in the United States. He is coming to talk about how they’re building innovation ecosystems, how it’s changing the way people work on things. We also have a second confirmed speaker which is Peter Vesterbacka, the co-founder of Rovio, a company famous for Angry Birds, and also a co-founder of Slush, which is an innovation entrepreneurial tech festival originated in Finland. Previous years were organized by Neulogy, now you have a fully dedicated team for the conference. Who is on the team? Neulogy is still involved in an active advisory/helping role but none of the people are involved full time, where the same can be said for the HubHub team. Are you? What should the dream team look like? In terms of a long-term team, we are looking for two people. The first one is a Startup Competition Manager. We want somebody who’s super passionate about startups to take care of the competition section. The second position is for a Speakers Producer who will be chief of content! Coming up with the themes relevant for that particular year scouting speakers, getting in touch with them, negotiating terms, organizing the FutureNow festival and coming up with fun spin off activities throughout the year. A creative and organizational challenge! When and where can people buy tickets for the conference? We’re launching a completely new website in July. The first early bird tickets will be released through that channel. How can startups apply for the Startup Awards itself? We’re going to be launching the „real“ competition directly after Pohoda, end of July/beginning of August. And to be honest, we’re still deciding what the deadline is because we don’t want to set an abstract date and then shift it around. Ideally, it‘s something that the Competition Manager would help us with but it’s definitely going to be latest the end of September.